Get ready to pass the Family Medicine Certification Examination with BoardVitals. Gain access to more than 2200 Family Medicine board review practice questions with detailed explanations for both correct and incorrect responses. The Family Medicine question bank follows the exam content outline for the American Board of Family Medicine (ABFM) Certification Examination. Also check out our Family Medicine MOC Question Bank and Family Medicine CME activities. Our Family Medicine editor, Elise Torres, MD, is a board-certified family physician who practices full spectrum family medicine and telemedicine. 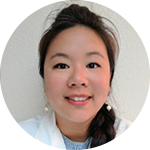 After graduating from Stanford University and Harvard Medical School, she completed her family residency training at the Stanford O'Connor Family Medicine Residency and obstetrics fellowship at Santa Clara Valley Medical Center in San Jose, CA. What is covered on the Family Medicine Certification Exam? How long is the Family Medicine Certification Exam? The exam is divided into four sections. Each section is 100 minutes long and contains 80 multiple choice questions (MCQ). The second section of the exam is the modular exam portion which consists of 40 MCQ's over the topic selected and then and additional 40 questions that cover the breadth of Family Medicine. The first, third and fourth sections of the examination will consist of questions which cover the breadth of Family Medicine. Total allotted time for the entire exam is 9 hours. Unlike board exams for the other specialties, you are able to review previous items and change answers. However, in our experience, when physicians go back to modify questions, they often change their answer from the right one to the incorrect one. Unless you're sure of an answer change, focus on the questions ahead, and not the ones that you have already answered. At about 1 minute per question, make sure to pace yourself! This is feedback that we get from Family Medicine students all the time. We suggest using a portion of our question bank as an actual exam with one minute per question to get a feel for the pace. Remember that there is no brand new information… focus on established medicine. In addition to the BoardVitals Family Medicine question bank and the Family Medicine Certification Exam Test Plan Specifications, make sure you review the Exam Preparation videos and documents provided by the ABFM. Free Family Medicine sample questions to help you pass the boards. Try them out now! This Enduring Material activity, Online Family Medicine Question Bank Based On The ABFM Blueprint, has been reviewed and is acceptable for up to 100.00 Prescribed credit(s) by the American Academy of Family Physicians. AAFP certification begins 02/23/2018. Term of approval is for one year from this date. Physicians should claim only the credit commensurate with the extent of their participation in the activity. The University of Nebraska Medical Center, Center for Continuing Education designates this Internet Enduring Material for a maximum of 40 AMA PRA Category 1™ Credit(s). Physicians should claim only the credit commensurate with the extent of their participation in the activity. Further Family Medicine CME info found here.